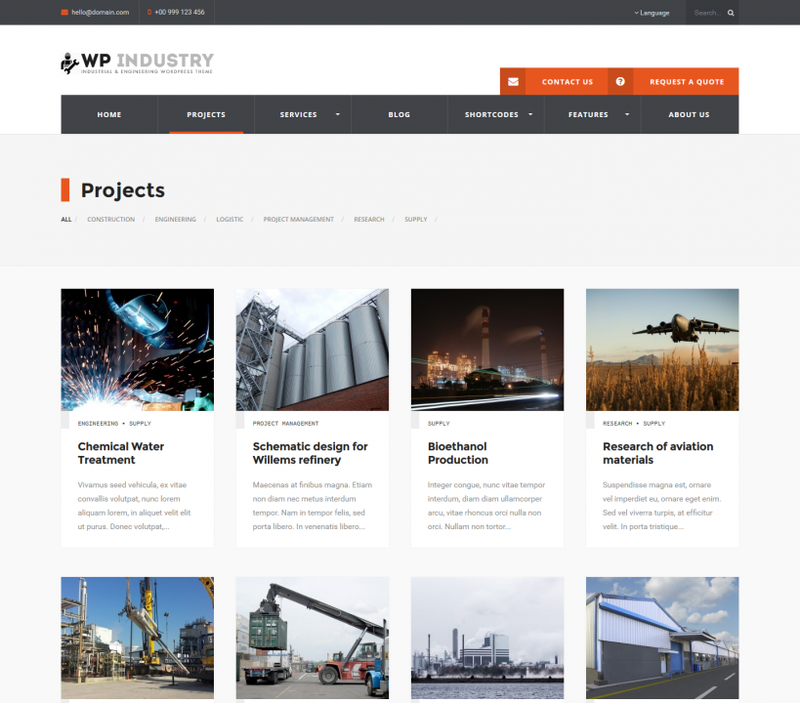 WP Industry - a premium business theme developed specifically for industrial, technique, engineering or machinery businesses. 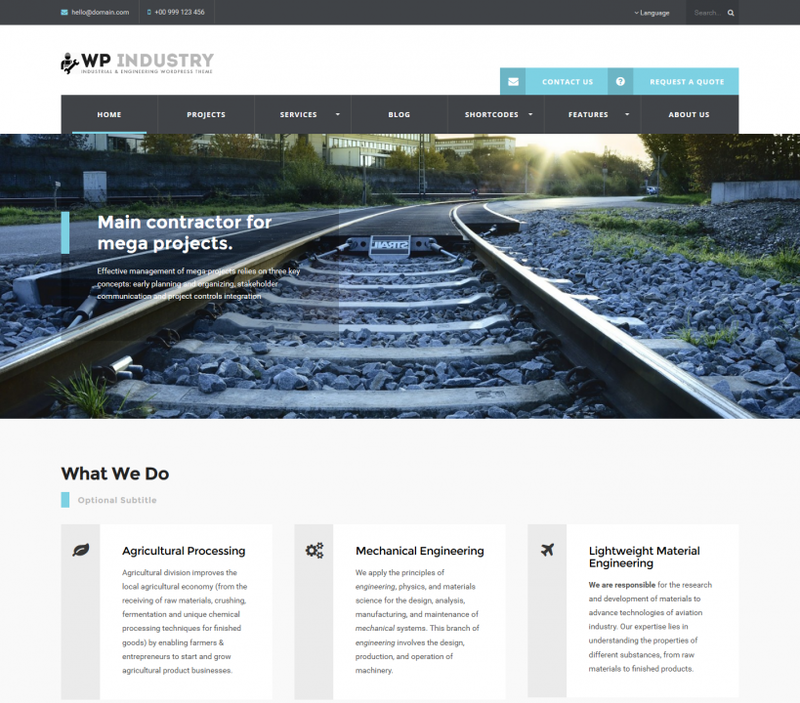 Theme is elegant, modern and easy-to-use flexible, modular and responsive layout. Theme includes lots of features like Drag & Drop page builder, unique page builder blocks etc. You will receive a detailed documentation along with additional features like Unlimited color schemes, Google webfonts, custom widgets and page builder blocks etc. 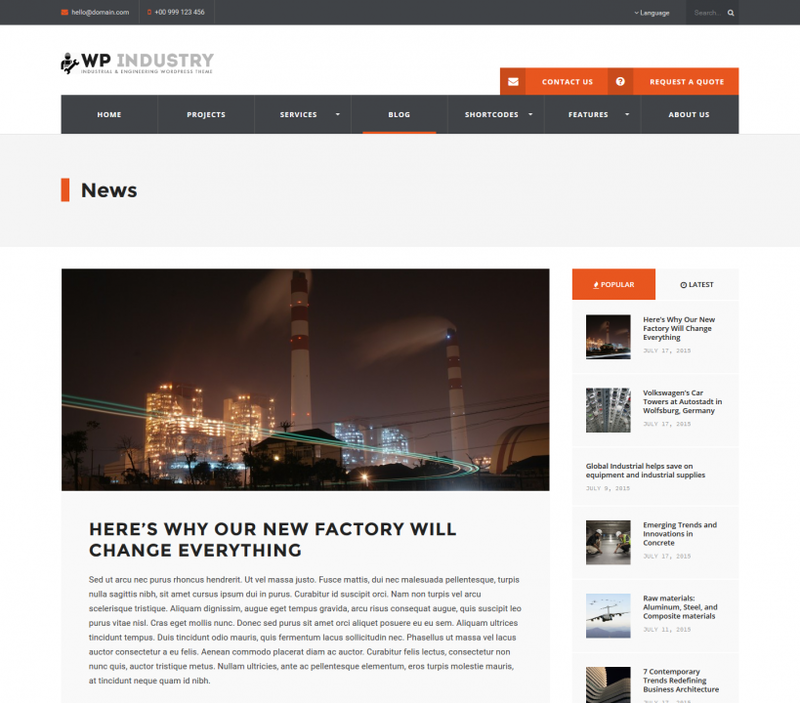 Share the post "WP Industry Theme"